We have begun work on two major projects to improve accommodation for our guests. Project 1: Many guests are now asking for walk-in showers, so we are renovating the bathrooms in Cottages 1 and 2 to provide this amenity. When we are finished, each cottage will have a large, beautifully tiled, walk-in shower. Project 2: We are beginning a series of improvements in Cottages 3 and 4 which we will accomplish in segments over the next couple of months. These updates include re-painting all the woodwork, re-designing the fireplace, re-postioning the television, replacing windows, and purchasing some new furniture. We will be posting photos when the work is completed. John and I are so excited about our newest addition to the Buckhorn Inn gift shop and we hope you will be, too. 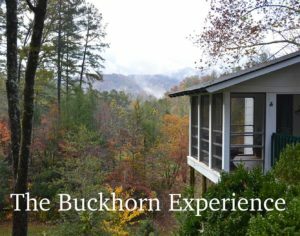 The Buckhorn Experience is a gorgeous 115 page book featuring 240 high quality photographs of Buckhorn Inn with annotations by Buckhorn I nn guests from the last 78 years. Writer Stephen Williford put this delightful coffeetable-style book together over the last two years and his skills have certainly paid off. 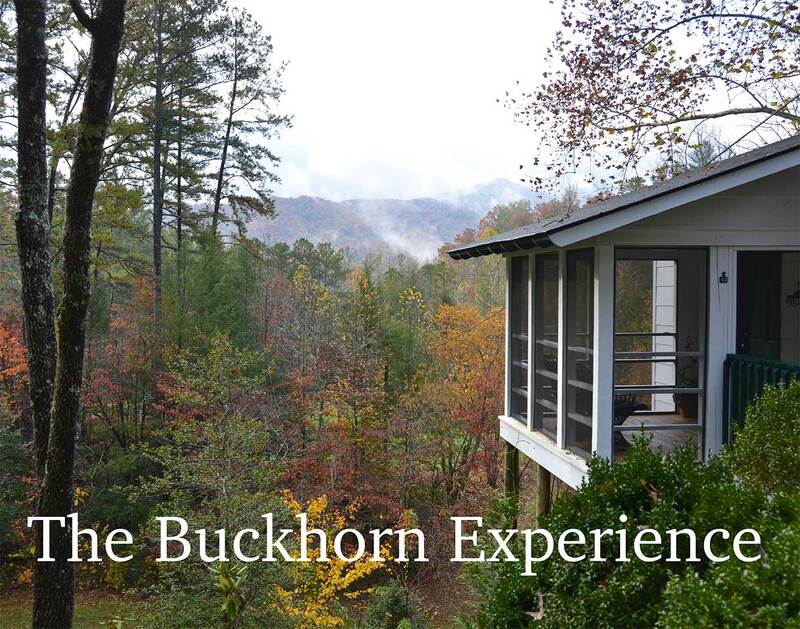 Gift-perfect for Christmas, anniversaries, birthdays, first-time guests and for anyone who loves Buckhorn. $25 Paperback $35 Hardcover Click here to Order Your Book Today. The fire that destroyed so much in Gatlinburg proper did not come our way. We and the whole of the Arts and Crafts Community were spared. We had a bit of wind damage but we are getting that taken care of. The morning after the fire all employees–even those who were not scheduled to work–appeared at 8:00 a.m. to get us up and going and our doors were open that afternoon. The caliber of our staff continues to amaze us. We are grateful to them and to all of you who called, emailed and texted us to find out how we had been affected by the fire and to wish us well. Gatlinburg re-opened today, Friday, December 9. The main street suffered almost no damage from the fire and shopkeepers are eagerly awaiting the return of tourists. Cades Cove has remained opened throughout the crisis and the major part of the Park opened on Friday, including Highway 441 and the Spur between Pigeon Forge and Gatlinburg. No matter, there are great hiking trails out our way–from Greenbrier to Cosby.